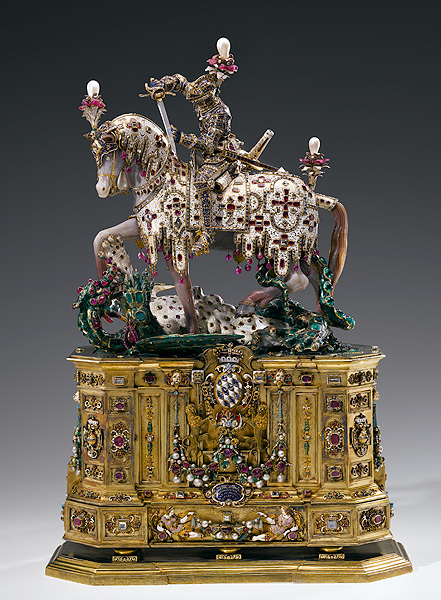 The Wittelsbachs' Treasury, founded in 1565 by Duke Albrecht V, is one of the most important of its kind in Europe. The collection covers the late Graeco-Roman period and the Middle Ages, with exhibits such as the Ciborium of King Arnulf (around 890) and the Cross of Queen Gisela (after 1006), the late Gothic and Renaissance periods, with the statuette of St George (photo), created between 1586 and 1597, and the baroque and neoclassical eras. 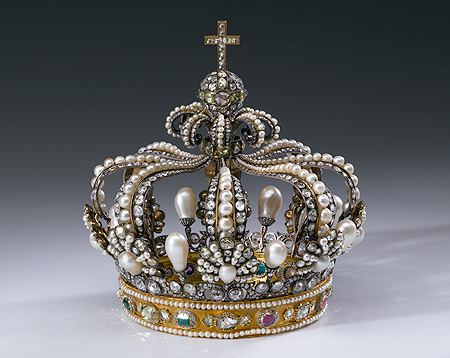 Among the treasures are priceless objects made of rock crystal, gems and ivory, as well as religious art, orders and insignia, tableware and toilet sets designed by Nuremberg and Augsburg goldsmiths and exotic craftwork.